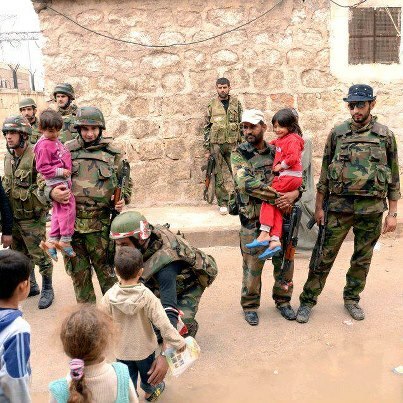 The horrible Free Syrian Army shows below them from the international Press the guards picking up children and helping them. However the little boy with his back turned being picked up to supposedly be helped was then raped by the free syrian army military in front of his family, his mother killed, his father killed then him killed and then he was hung on the wall with a warning to Bashar The Free Syrian Army told Bashar to give Syria to these monsters or this would continue happening against his people. 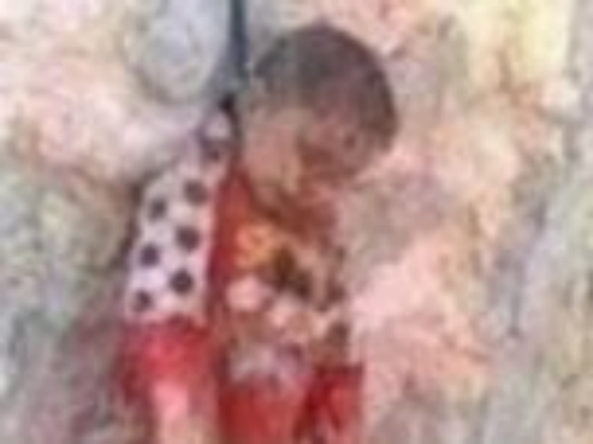 The Free Syrian Army killed this little boy, hung him on the wall, then showed the people of Syria and Bashar what they would continue to do unless Bashar gave Syria to Free Syrian Army. The soldiers in the picture below is the soldier who was accused murdered little boy. CIPA, enacted some 30 years ago, is designed to keep a lid on the public disclosure in criminal cases of classified materials, such as those associated with CIA operations. The rule requires that notice be given to the judge in advance of any move to introduce classified evidence in a case so that the judge can determine if it is admissible, or if another suitable substitution can be arranged that preserves the defendant's right to a fair trial. “That is a very reasonable conclusion [that the CIA is likely involved in this case in some way],” says a former federal agent familiar with national security procedures. hey can you pass me one of the two budweiser beer cans in the fake survellieance trailer or one of the bud bottles on the little fathers toys license plate truck with the little chewy granola bar sitting on the front seat, the lovely bomb in the middle of the clearing in the little cooler, and all of the other lovely treats just waiting for you as you try to hike across the border of canada and america... but the real question is hay where is the $500,000.00 the Border Patrols found? There is the Urkranian parliament above then the Trump Tampa Rally August 24 , hmm is this joe merlino pretending to be press?